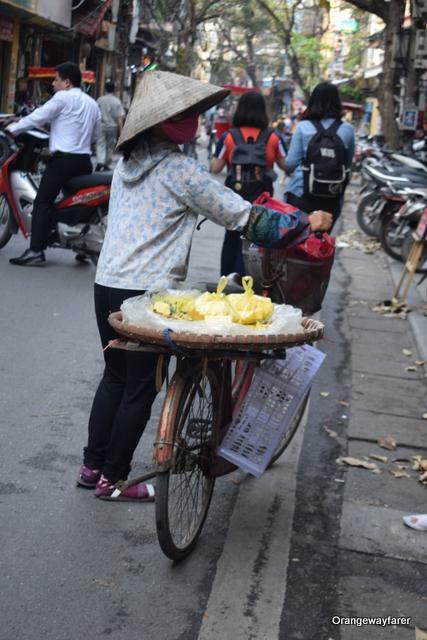 While Thailand had blessed me with an incessant supply of seafood even in the capital city of Bangkok, Hanoi overwhelmed me with history and culture. Sated, when I felt the hunger pang by the end of the day, I could list down plenty of distinct style of great food. The initial sense of aroma, look and feel differs greatly than what I was used to till date. 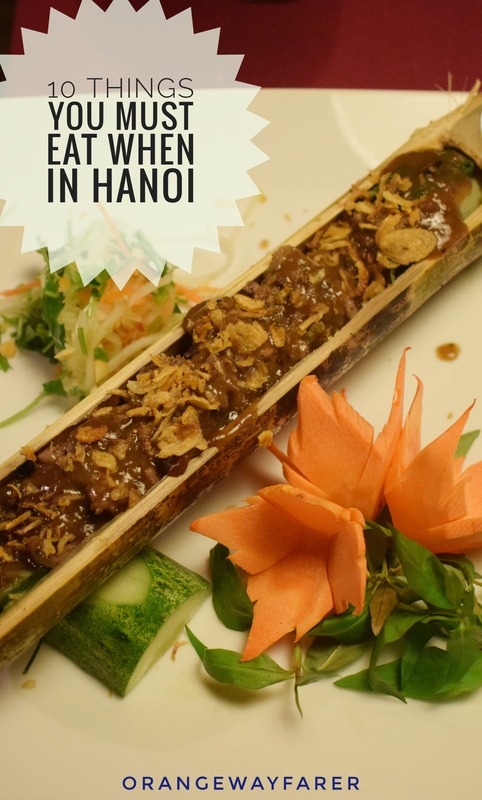 A quintessential result of fusion from China and French, Hanoi will treat you with a certain type of food in Old quarter area. Once you come out and venture to the extended modern capital, food is more modern in approach. That said, the gourmet lovers will swear by the intricate details Hanoians put in their Pho and grilled meat. Hanoi remains one city that does not house an McD yet. What is the fun of QSR food? It is a full fledged elaborate family affair here. Perhaps the sense of dining as a family prevails even in the crowd of weekend night market. In the caprice of a posh restaurant. In my four days stay in Hanoi, never did I feel left alone or ridiculed while trying out on every new dish I could taste. 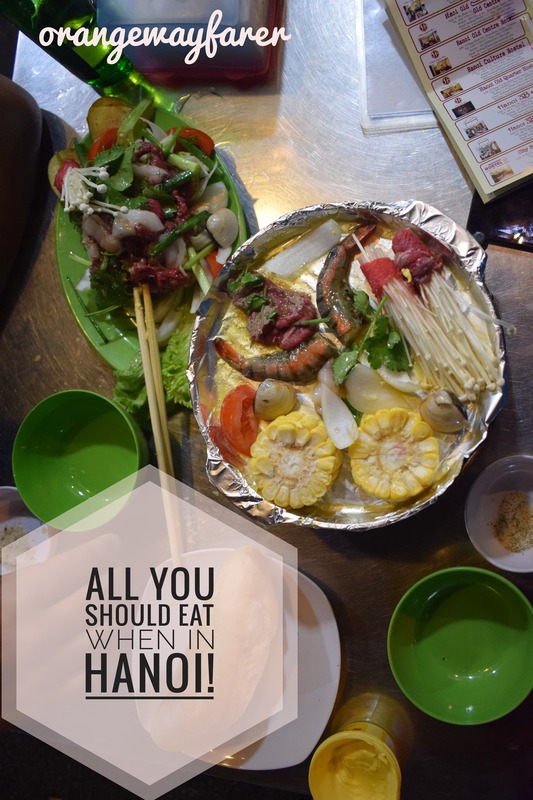 Here is an account of top 10 food you must eat in Hanoi! In India, you find this delicacy in tribal parts of Orissa as well as Meghalaya. Succulent pieces of meat smoke grilled and put inside a bamboo tube. the perfect cooking takes long time and food delivers a unique aroma. The Vietnamese version differed at large when it comes to choices of spices. 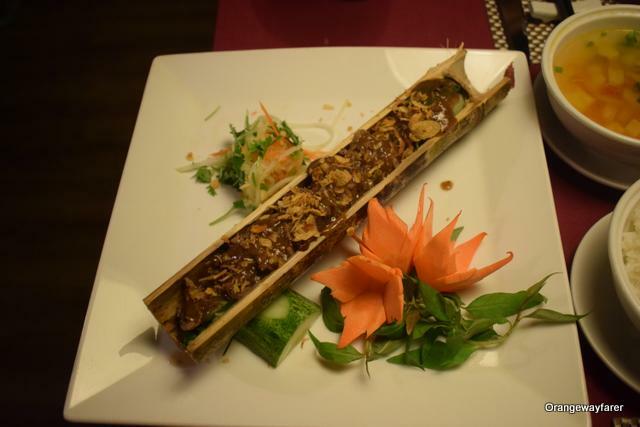 Traditionally, Vietnam also prepares rice in the young bamboo tubes that is served with Grilled pork slices by its side. I particularly love the fried garlic they sprinkle generously to induce a heavy aroma on all its meat counterparts. 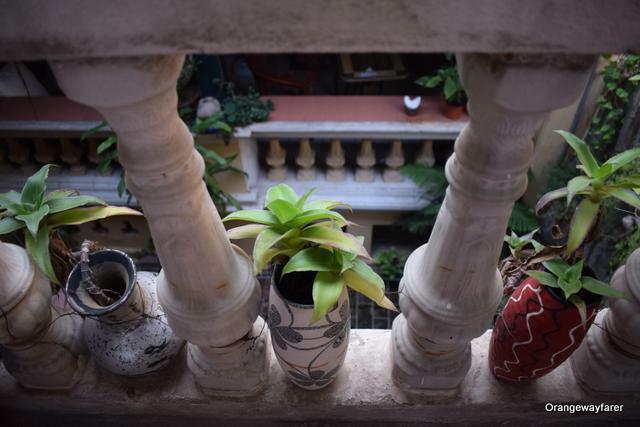 Also read about my $ days stay in Hanoi! 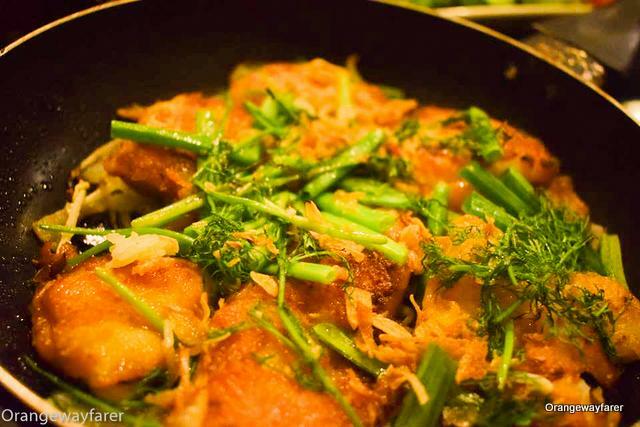 Banana Steamed Fish: You must eat this when in Hanoi! Vietnamese are particularly discerning when it comes to eating their fish. The one method of steaming fish in Banana leaf is very familiar to the style we follow in Bengal or Kerala from India. 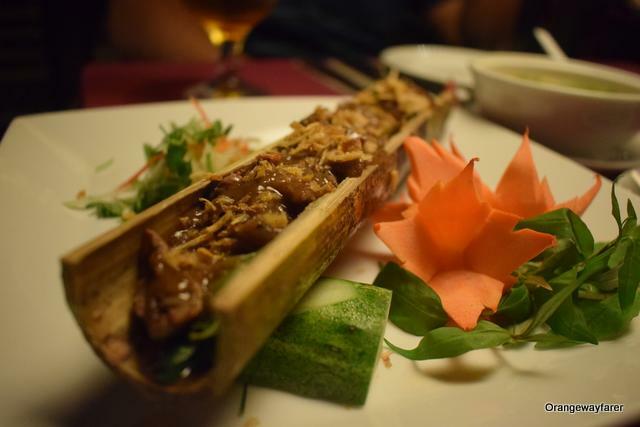 However, the fish in use in Hanoi is known as Snakehead or eel. It is served with plenty of fried garlic that alienates instantly. 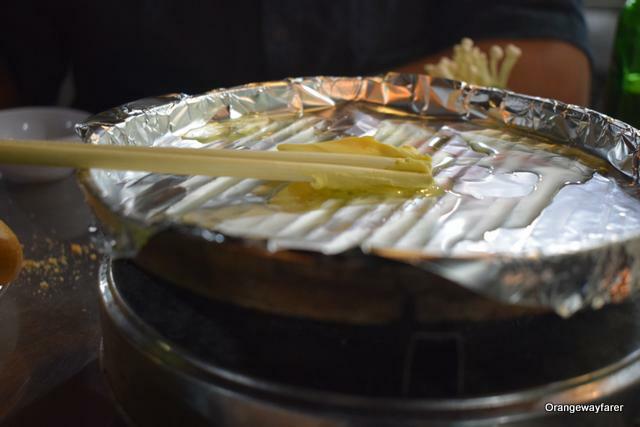 I loved to gobble down my share of sticky rice with generous serving from the banana leaf foil. make no mistake, try this dish with a chopstick! Eel is also known as snake-head fish. It is steamed when wrapped in banana leaves! Banana leaf is unwrapped and discarded! The meat is supposed to be eaten in those rice papers. Yes, we eat here with chop sticks, rule of the land! What accompanies the grilled meat dishes is not a dish by its own rights but shall make place in your stomach by the end of your stint with the country in volume is the Red Chillies and Fish Sauce dip. The bright red shall allure you but be gentle with the sipping. It is fiery hot! In a bowl, a whirl pool of taste awaits with Sweet, spicy, sour, and fishy sensations namely. For the uninitiated, let us jot down the ingredients in use: fish sauce (obvious reasons), lime juice, sugar, garlic, chili peppers, and shredded carrot or lemongrass. No wonder the otherwise bland grilled meat comes alive with a slight touch of this dip. Porte D’Annam, Bela Rosa Hotel is one fine dine place you may want to visit in Hanoi. Situated near the Hoan Kiem lake, this hotel has a warm eatery at the basement. The lighting is apt for a quite romantic dinner. We found a lot of locals dining at the place. While we were pondering which medium to use to roll up the spring rolls, the ever smiling lady waitress came to our rescue. Chopsticks and fingers, both will help you to roll up and fill up and put the spring rolls in mouth! Earthen pot is an extremely romantic cookware. It symbolises the course of civilization! Remember the Egyptian earthen pots you saw in the National museum? In Hanoi, I got my hands on the iconic Caramelized Fish in Clay Pot which is locally named as Ca Kho To. The sugar, the thick clay wall, the brasing process, all make the fish a sweet-savory gooeyness which is best enjoyed with sticky rice. The classic comfort food reminds me of Panta Bhaat that Dida would remeber with fondness! In Saigon. The same dish differ largely in taste with more usage of spices. The stewed fish in clay pot! 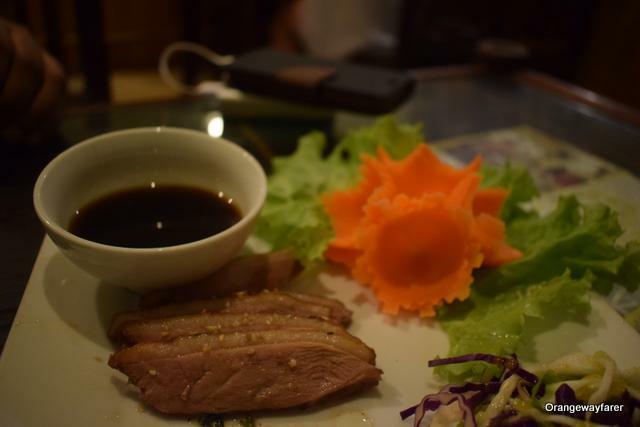 Duck fillet, simply grilled and served with Soy sauce dip! Plan a two week DIY trip to Vietnam with my travel tips! The S shaped country has an impressive number of rivers flowing through from the northern mountains. The obvious result is no dearth of fresh water fish. You see people feasting on sticky rice and fish curry everywhere. the Bengali in me gets overwhelmed. I got all the more excited to see carp fish being sold in the streetside eatery! The same cuts and the fish head being cooked. From where I come, Fish head is a delicacy and served to the guests of highest honor (yes, Jamai Shoshthi or Anyaprashan without Fish head? forget it!). The fish appeared to be cooked in bulk, deep fried and was soaked in curry. It differs largely from the way we Bengali cook it though and the French colonial days make their history felt with every bite! Dill is one ingredient they use in abundance while cooking fish. There is no butter, but dill. A fusion in kitchen as a result of history. You find them at the roadside eateries. I do not have any particular name to mention here. I saw the street vendors having their luncheon with this fish curry and rice. Look at the fish fried! Tuong Linh Seafood Store: The best sea food stall I have seen in a while. The humble food joint may not appeal to you in the fist look. However if I come back to Hanoi, The grilled Oysters of this place will be one primary reason! The shop is filled with aquarium and supplied with fresh water. You may select what you want to eat and tell them about it. they cook it in front of you. The best past is the seasoning they sprinkle on top of the dish. Sold to this place! Pho with sea food: The lady used to sell it by the hotel Hanoi Guest House. A lot of mussels and fermented fish cake will be drowned in the flavorful broth. I prefer sea food over red meat anyday. No doubt this became one of my go to place. There is no name for the shop and locals frequent here often. 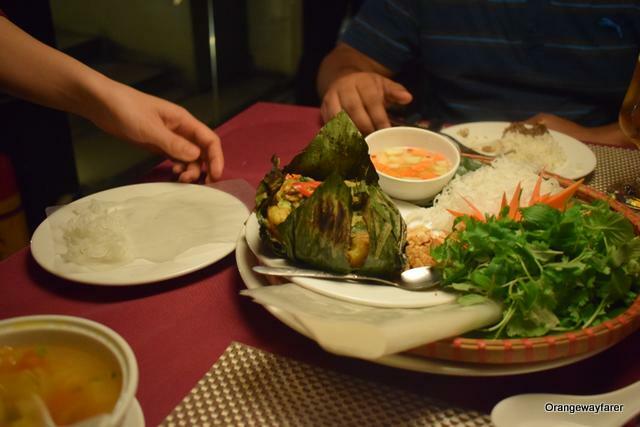 Also read about the Food I ate in Saigon with distinct flavors. 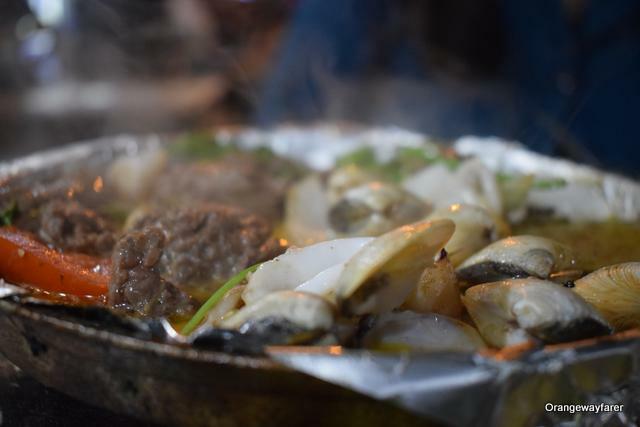 While walking on the streets of Old Quarter during weekend night market, which is aptly described as a mela in its own rights, you will see plenty of stalls selling heaped up raw marinated meat and a dollop of butter along with a small stove. I was so fascinated by the equipment, I wanted top buy one for home. The hotplate is silver foiled and placed on a tiny oven. You put the butter and the vegetables one by one. And as it starts to cook, you take it down and start eating. Almost a roadside picnic scene. I think I saw something similar in some parts of Thailand (Bangkok) but never tried. In Vietnam, I surely feasted on them. 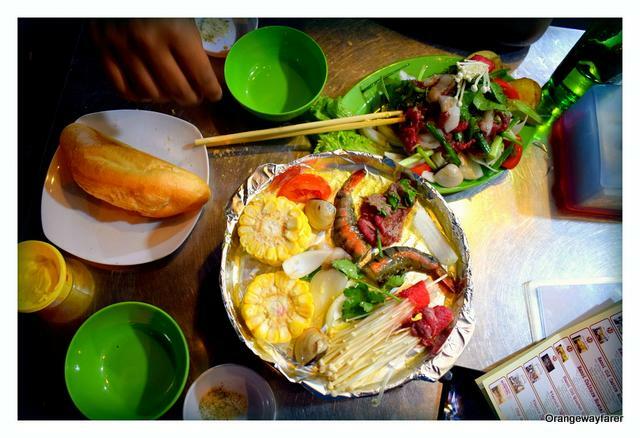 The hot plate they serve in Hoi An is a soupy version of the grilled meat. They are decently priced (VND 200-300k) and shall fill you up for the night. In case you prefer to eat assorted vegetables, you will have no dearth of choice either. Wait till the steam comes up! Final step! It pops us! The hot plate is ready to be eaten! 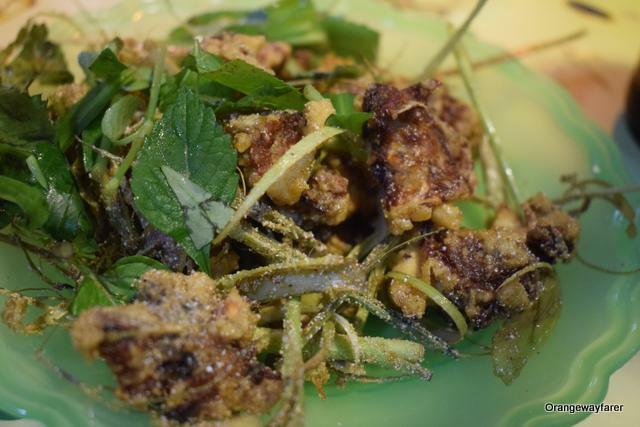 Although I heard a lot about Duck fetus, rats and dogs being sold and eaten in Vietnam, I could only try my luck with a plate of fried frogs when it came to heavy experimenting. Found them being sold in a food-stall of the old quarter. It tasted pretty much like chicken. It was served with a green dip and the sticks were intact. A close up look, the frog tastes like chicken for sure! Chessecake, enough said! I love cheesecake. As my spoon cut through the tender walls of white creamy layers and make way to the hard crust. Poppy Seed is used abundantly in gravies as Posto from where I come from! No wonder I would love Poppy seed Cheese cafe. You get to taste this in Cong Cafe. Try it while sitting by the west lake and experiencing a spectacular sunset! 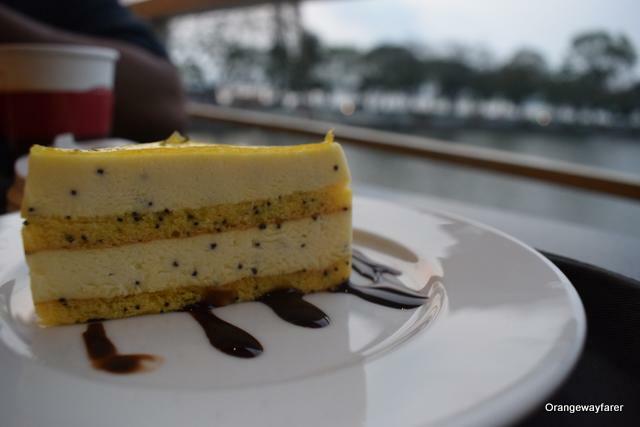 When in Hanoi, you must try this dessert once! 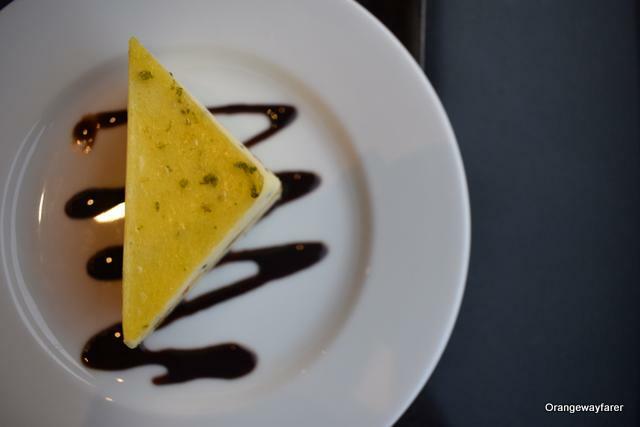 The cheese cake at Cong Cafe, Hanoi! These Ice creams I ate from the street vendor are made with traditional equipment and retain a quintessential flavor of the place, unlike the ice cream they serve in the bistros. 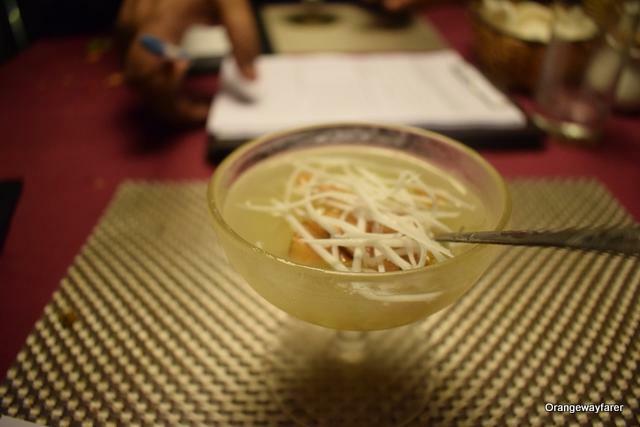 A sweet pudding dish that comes with Sliced almond topping. I hear they also serve the dish with a variety of fruity tastes. The sticky sweetness lingers on your mouth for longer period of time. 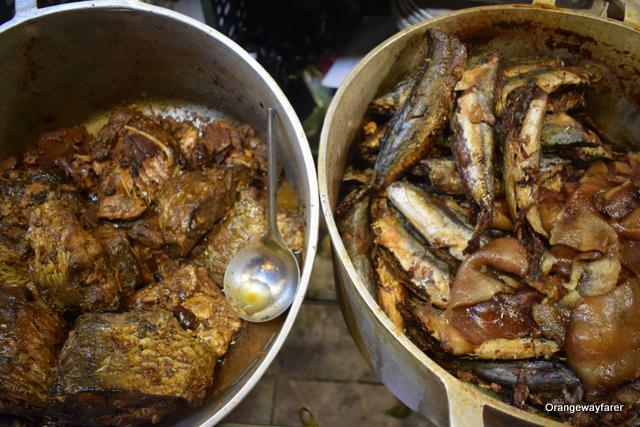 It mars the savory taste you procured with all the fish and meat. I say it is more of an acquired taste. Try for yourself to be sure if you like it. My opinion? I will skip this next time! A dessert name Che from Hanoi. The ancient method is in place to impregnate the blooming lotus with tea leaves for a whole night. 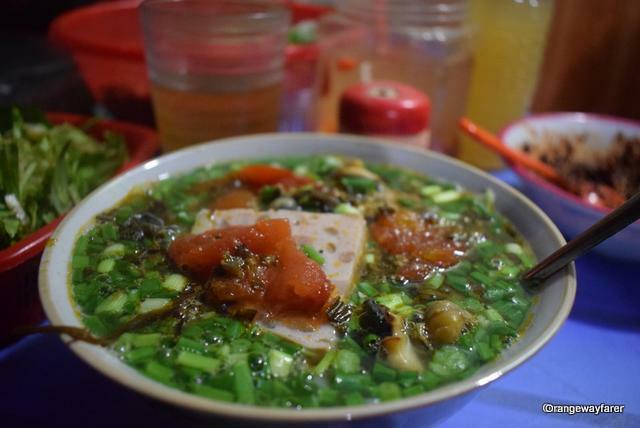 People from villages of Quang Ba, Tay Ho, and Nghi Tam are inherent of the traditional recipe and kept it alive through generations. Lotus tea is jade green in color, with tightly twisted leaves and with a pale, amber colored infusion. It has a crisp, clean flavor, vanilla hinted and the great scent of Lotus blossom lingering in the mouth. Lotus tea, I love this! Pro tip: You get the best of tea leaves from the mountains of Sa Pa. 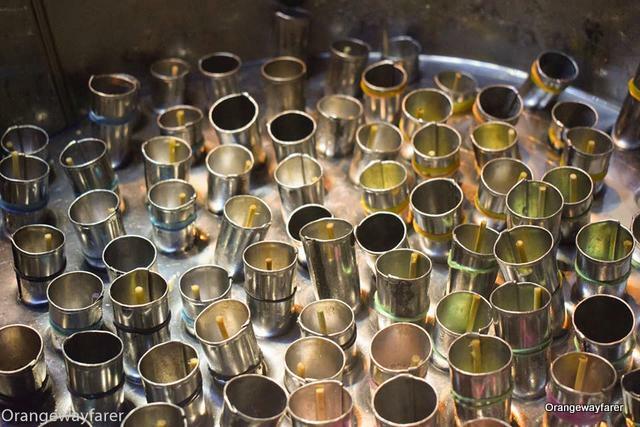 Consider buying some tea leaves when you visit the Hmong Villages. In Hanoi, you can find it by the lake in this place called Little kitchen (100-200k VND). It is ideal for breakfast. 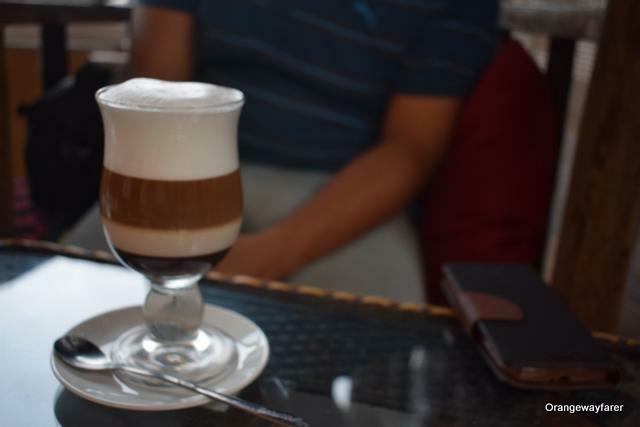 Much has been talked about the coffee of Vietnam, which retains a quintessential Vietnamese character while getting thickened with egg whites. Not a single shop you pass by in Old quarter does not serve coffee. Remember the French legacy? There are cafes at every nook and corner of the city, especially the Old Quarter area that plays genial host to visitors as well as discerning locals. Also read about my two weeks itinerary in Vietnam. We loved the Coffee they served in beautiful glass at Nola cafe, also an exhibit center of old school art pieces. 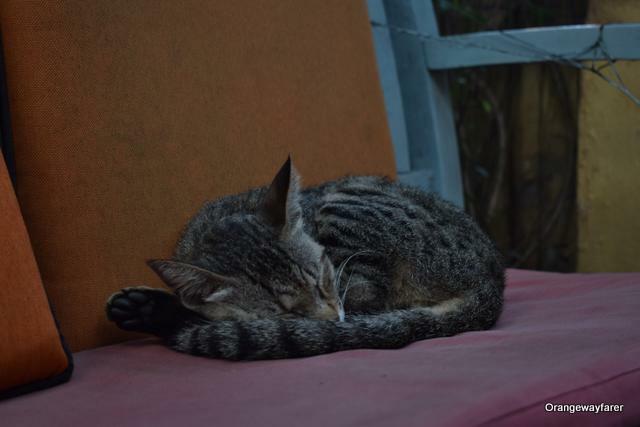 Nola Cafe, Hanoi is tun by humans and they are further supervised by the Cat. You shall meet him on your visit. His highness decides to give you company as you eat, drink. If bored, he shall take a power nap. True there are lush green foliage as you climb up, there are plenty of umbrellas on the top floor giving you refuge from the heat, but I shall go back to Nola Cage only for the Cat! And oh, I must mention the Spring rolls of this place! Unlike the rice paper wrapped ones, they are deep fried and served with a mayonnaise dip. If you are visiting early in the morning, you can have one entire floor to yourself. It is generally not very crowded. 1. Head out to a local street food joint if you see as lot of locals eating there as well. 4. Stay safe from allergy. Know how you react to certain food items and refrain from them. 5. Drink Bia Hoi (loacal beer) and make merry. Exotic Food that I did not try (for I did not find) but wish I could! Before you read this, please be informed I am not prejudiced about any food choice and I strongly believe food should remain immune of individual’s caprice. 1. 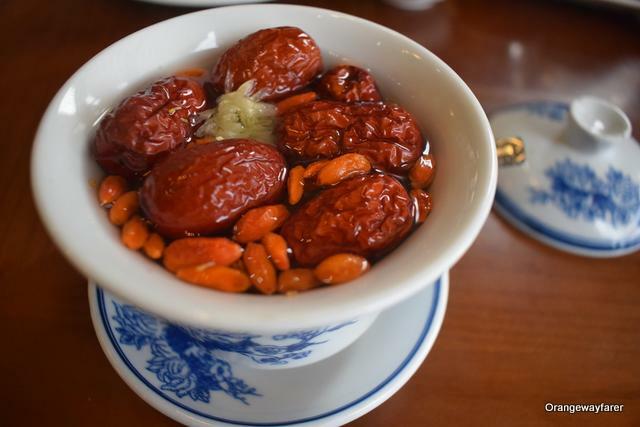 Fetal Duck eggs: This delicacy remains one of the top gourmet chpices in Hue, Ho Chi Minh City and Hanoi and yet I did not find any street shop selling this, neither any mention in the cafes. 2. Dog Meat: I hear there is an entire street dedicated for Dog Meat in Hanoi. However, I watched few youtube videos and decided to skip it and fill my stomach with a hearty bowl of Pho. I shall make a trip back to Hanoi, unequivocally. The romance of Old quarter and exploring the city by multiple walks remain one of the most cherished travel memory of my life! Smoked meat in Bamboo tube! Trying local food is such an important aspect of experiencing a culture, and I love the insight you’re giving us here! Very fascinating and also appetizing post! I love Vietnamese food. I have a lot of Vietnamese friends whose houses I come over to sometimes and their parents would make such great homemade food but reading this made me look forward to actually going Vietnam and try authentic foods. 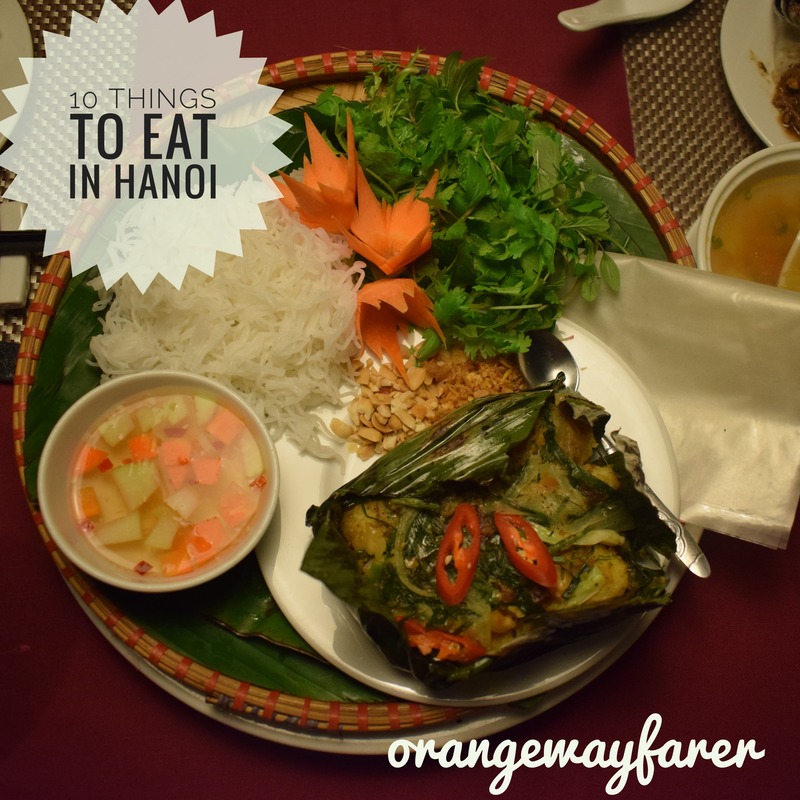 I absolutely loved Hanoi for its food! I also really enjoyed it coffee culture; so many cute cafes. Haha! 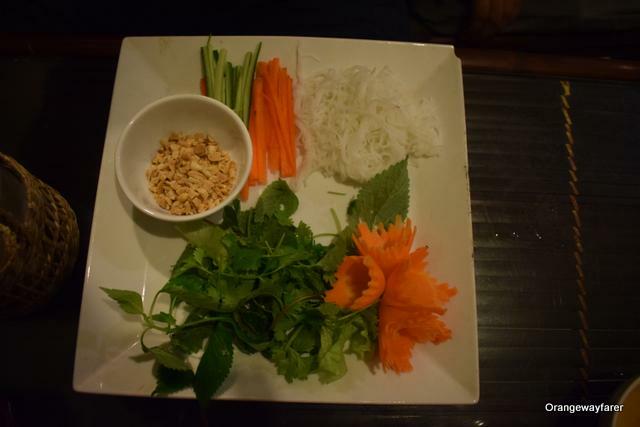 Hanoi would not disappoint you even if you are looking for regular meat or even vegan food! All of this just looks so good! So much variety and I can’t even start to imagine how good it tastes!! I’m hungry now! It’s so interesting seeing how food is traditionally prepared and present! It always looks so beautiful and your photos do a great job at capturing that! It’s always an experience seeing the food prepared in front of you. I love helpful lists like this! I always get a little overwhelmed with the food options when I visit a new place, so having suggestions is awesome! 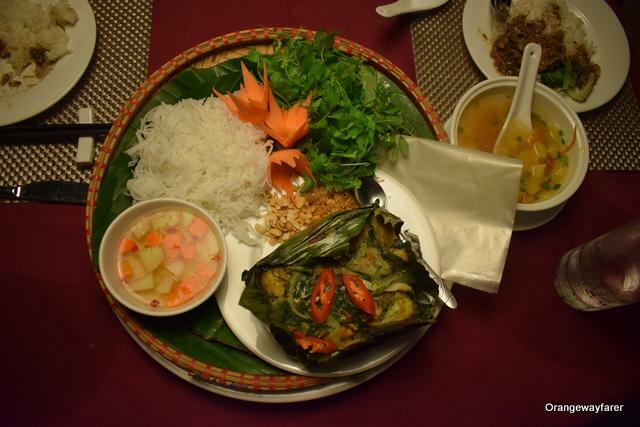 That steamed fish in the banana leaf looks incredible! I loved reading this post. You have a great writing style. I would have loved to participate in having dinner with the hot plates. I was so intrigued by them. 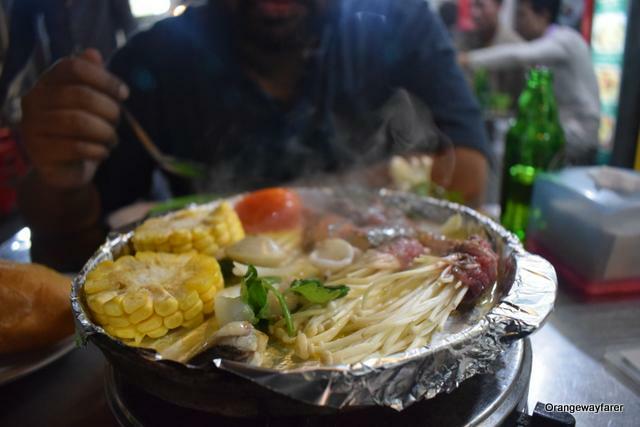 The Hot plates are the best invention of street food dining style, IMO 😀 Thank you so much BTW! 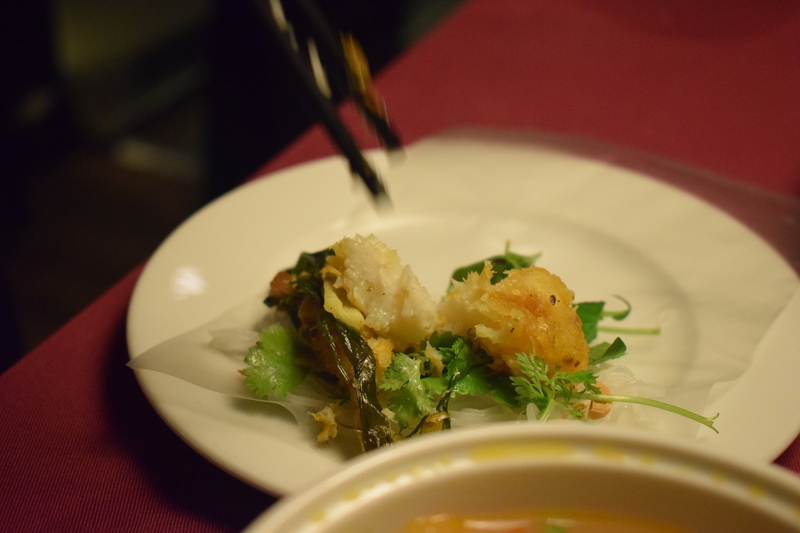 Love this post as it shows the willingness to try new things and local food on a trip. Hanoi seems like a cultural place to do it also. Now I am inspired to try even more local food when I travel. If I ever visit Hanoi, I’m using this list as my food guide. Thank you for sharing.